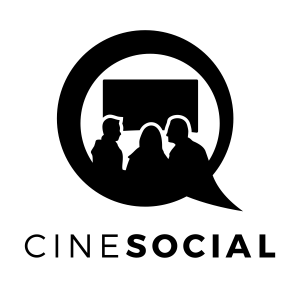 Producers: Joel Edgerton, Jason Blum, Rebecca Yeldham. Jason Bateman, Rebecca Hall, Joel Edgerton, Allison Tolman, Tim Griffin, Busy Philipps, Adam Lazarre-White, Beau Knapp, Nash Edgerton. After moving in to their new home, happily married couple Simon (Bateman) and Robyn (Hall) have a brief encounter with one of Simon’s old classmate; Gordo. Gordo (Edgerton) thereupon starts leaving mysterious gifts on their doorsteps and unexpectedly inviting himself over. Once Gordo’s reason for his intrusions are revealed, we begin to unravel just how well Simon and Gordo know one another, and just how well does Robyn know her husband. Trailers are a peculiar thing. On the one hand they can make a disappointing film such as Prometheus (2012) look astonishing, and yet they can also make a smart and tense film appear pretty average. 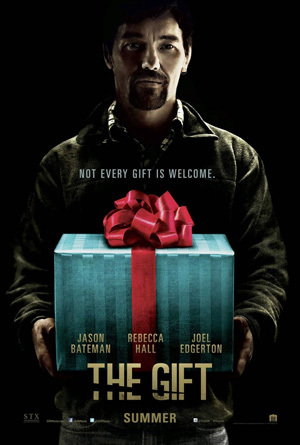 I’ll admit that when I first saw the trailer for The Gift, I was not impressed. With Jason Blum producing, who had previously worked on films like Insidious (2010) and Paranormal Activity (2007,) I assumed it was going to be another standard scary film which follows the “people move in to new house and then spooky things happen” dynamic. However, the scare does not originate from anything supernatural, no, all sense of unease is due to Edgerton’s character. From the moment we are introduced to Gordo, he brings a sense of oddness and mystery. It could be that he is just socially awkward and naively polite as Robyn likes to believe, but is there something more sinister behind his demeanour? The Gift torments us with this for a great deal of the film. The acting in this film is solid from its three leads. Rebecca Hall’s performance is wonderful throughout. Robyn’s mixed emotions of both compassion and distress towards Gordo is thoroughly believable. Jason Bateman was also pleasantly surprising. I usually associate him with comedies, but there was nothing comedic about Simon unfolding in to this brutal, impatient and unapologetic wreck. Gordo’s addition to their lives have made them both extremely emotional, and watching Hall and Bateman play of one another as they begin to crack and ultimately break, were some of my favourite moments in this film. Nevertheless, the star of this film is undoubtedly the triple threat Joel Edgerton. Not only in his performance of the enigmatic Gordo, but also in his abilities as writer and director. While the narrative about an intrusive and hostile presence damaging a family is nothing new (Fatal Attraction (1987), One Hour Photo (2002),) Edgerton has written plenty of twists and purposely withholds key information to keep the viewer guessing until the end. As a consequence, the confusion we feel while watching only aids in the accomplishment of Edgerton’s direction to maintain an element of tension throughout. The long dark, slow shots of short corridors, the score building in suspense as we follow Robyn edge closer and closer to shadowy rooms. They may be overused in the thriller and horror genres, but they work, and Edgerton is successful at making the audience feel at unease throughout his film. More so in the ending when Simon receives his last three gifts. From the moment we see that this time the gifts come with instructions; we know that the answers are about to be revealed. What ensues is the film’s most darkest and twisted sequence as we watch Simon realise what Gordo has been planning all along. Bateman’s reaction juxtaposed with the imagery and sharp score is guaranteed to make you uncomfortable. All in all, Edgerton in his direction debut has made a smart film that is likely to hold up as one of the better thrillers in recent years. If you like your films to end neatly, satisfactory and on a happy note, then the inconclusive ending may not please you. However, what it will do is leave an impression on you. It will cause you to argue with your friends on your different opinions of the ending. But before your argument gets too heated, bare in mind of the films message; hurtful words, intentional or not can have a devastating and long term effect. So if you have upset and hurt someone’s feelings in the past, maybe now is the perfect time to catch up with them to make sure bygones really are bygones. Before a suspicious gift turns up on your doorstep.